Yes, add $20 per additional dropship location. 1-color imprint (no halftones), basic setup, PDF proof and Free Ground Shipping (US48; 1-Commercial Location). Not included. Envelope style 'B. Basic custom imprint setup & PDF proof included! 12-month wall calendar features a hidden treasure. 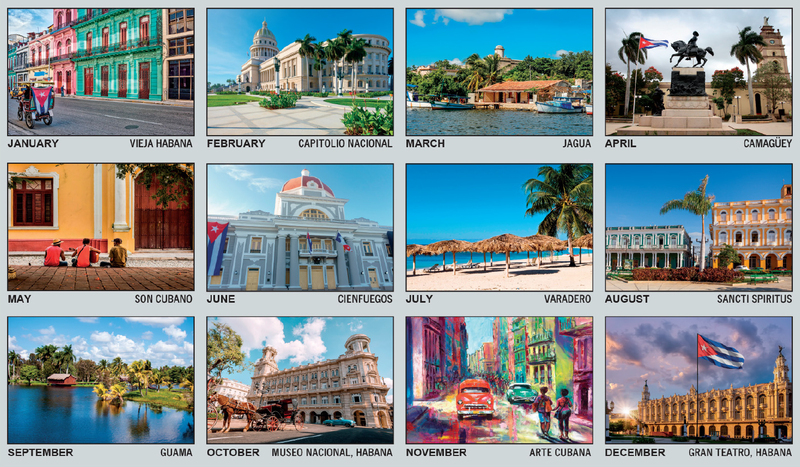 Let this calendar take your customer on a tour of Cuba and its enchanting secrets. 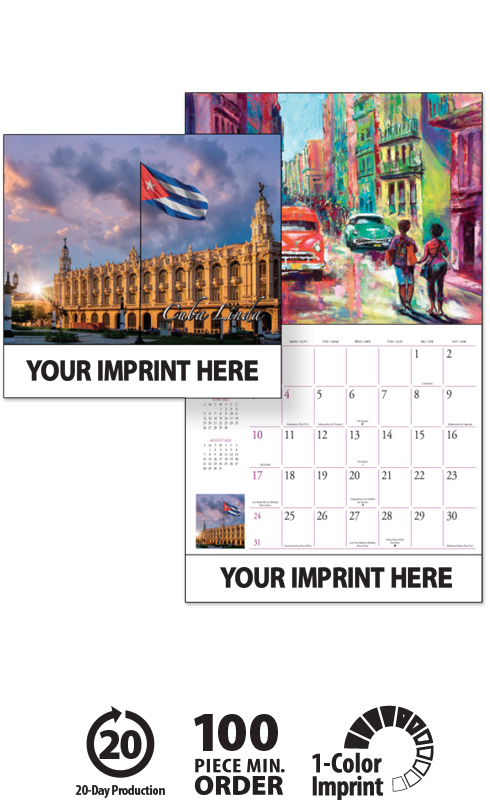 Bilingual American-Spanish Cuban Global Line calendar. 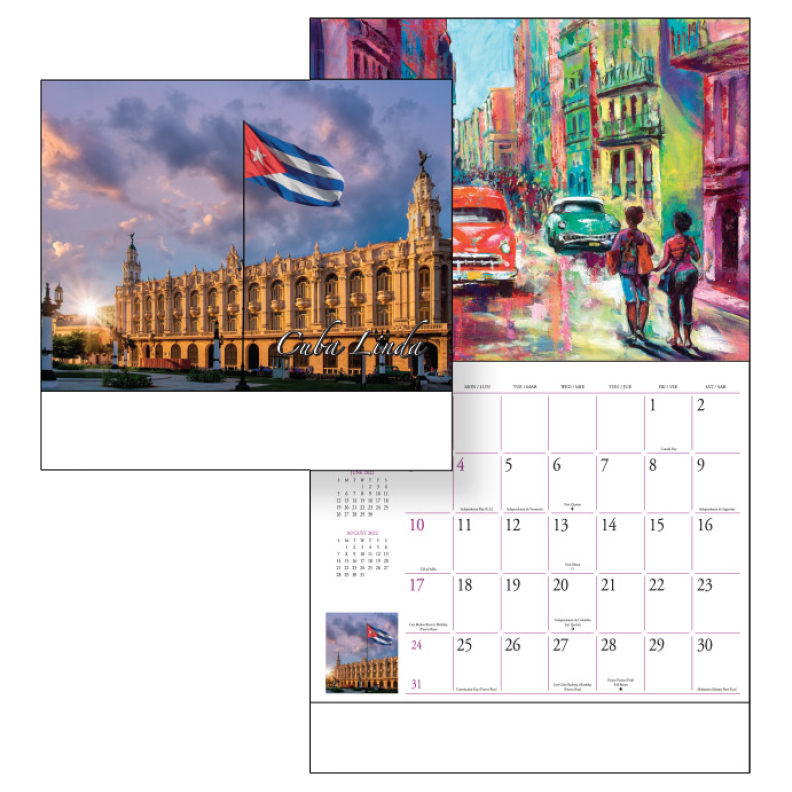 This high-quality promotional scenic Cuba calendar will proudly display your message for the entire year!